Most people are aware of the fact that there are many different video formats out there, and are also aware that there are converters designed to convert between them. However many don’t actually use converters – often because they don’t see a benefit to it. As you probably know different devices and platforms support different video formats, which is why you may have trouble viewing videos on some devices. Rather than attempting to find a software to play the video (which may not always be possible), a far more effective solution is to convert it to the format that you need. Typically nowadays the MP4 format is as close to a universal format as possible – so you’ll want to convert your video to it in most cases. That can be done easily, and if you want you could use Online Video Converter to convert any formats including MTS to MP4. Keep in mind that it is best to use a format with a codec that has hardware support on your device, so that it can be played without requiring too much processing power. Part of the video format that is used is known as the video codec, and it is what compresses the data in your video files. Some codecs are able to compress data more efficiently than others, and will let you reduce the file size of your videos without adversely affecting its quality. Typically newer codecs are better than older codecs in that regard, and have improved compression rates. For example H.265 can reduce the file size of H.264 videos by about half in most cases. Most online platforms recommend that videos be uploaded in particular formats. While some may reject videos that don’t comply with that format, others will convert it themselves. As a rule it is always best to follow the recommended settings when uploading videos so that you don’t have any difficult and avoid it being transcoded – which could affect its quality. For instance you can look at YouTube’s recommended settings and see that they prefer MP4 with H.264. All in all being able to convert videos between formats is generally useful. Depending on how frequently you handle videos and the different types of devices you use, you may even find that it comes in handy every single day. If the converter that you use allows you to adjust the video settings as well (which many do), you may find that it has other benefits that are worth exploring. In short you could compress, adjust or prepare your videos in a wide range of different ways if you require. So you already have your corporate video for your company - and whether your company is based in London or another area, you know how important it is to add credibility to what you have to offer. After months of hard work and planning, you now have something to show for all your efforts, and can honestly say that you have done your best to make a brilliant video. But, it doesn’t end there – you still have to consider the editing of your video in order to make it as perfect as can be. But even if you rely on a professional video editing company for corporate video production in London, when it comes to editing your corporate video, it still pays to have a basic idea of how editing works and how it can be used to your advantage. If you know what you want, then you can more easily impart this to the editing company, and everyone will be more-than-satisfied in the end. There are basically two different styles of video editing: non-linear and linear. Non-linear, also referred to as ‘film style’ video editing, is more appropriate for short video projects which are also more structured. With non-linear video editing, you can expect the different segments of the video to be organised into various clips, so that all the shots can be easily accessed and then edited (lengthened or shortened, moved, or even removed according to your specifications). In addition, non-linear video editing allows the editor to easily cut and paste any changes to the actual audio or video. For non-linear video editing, the editor(s) will apply several phases. They will first make use of rough editing, where the original video material is edited by choosing some of the best footage or clips. In this phase, no audio mixes or transitions will be added, as the structure is still in the process of assembly to make sure the story is clear. The second phase of non-linear video editing is the tight edit, where transitions and music during and in-between scenes are added and the sound is cleaned up as well. This is also where titles and credits are added. The third and final phase of video editing is the final mastering, where the entire programme is played and then recorded onto your preferred medium, be it a hard drive, a DVD, or Blu-Ray, among others. The second style of video editing is the linear method, also known as traditional video editing. With this, the editing process involves copying the video and the audio from one tape to another. Keep in mind that with linear video editing, changes cannot easily be undone once the editing is finished. Linear video editing is admittedly more complex and time-consuming than non-linear video editing, as the editor has to go through metres of tape just to find a particular shot, and the editor needs to have a very clear concept of the order of the various shots in order to minimise editing time. However, linear video editing is more ideal for longer video projects (30 minutes or more). Corporate video production experts such as Raw Productions are also quick to point out the importance of labelling during the editing process, which will then be included in the final printed media for future information and use. These labels include titles, sub-titles, the list of producers, and the length of the final video. Having a good idea of what video editing is all about – and what to expect from it – will help you determine exactly what you want for your finished product – and in the end, you can rest easy in the knowledge that you have a brilliant corporate video in your hands. Owners have passion. They have explanation, vindicating the production and sale of product and services. What they don’t have is the masses’ understanding. Such passionate owners need to impassion consumers, getting the public equally excited. How can a small to mid-sized business owner do it? A growing number use explainer videos to communicate effectively. Better communication – that’s what separates popular from obscure brands. Today’s go-to brands were once unknown by the public. Through proper public relations and marketing, small brands make bigger impacts, growing in awareness and revenue. Use of products and services, along with fixed problems, may not be apparent to the public. Vendors do well in explaining, in non-technical language, how a product or service functions along with the benefit of exacting such. How-tos serve as practical demonstrations as well as implicit marketing tools. Small and large-sized business owners vindicate products by showing rather than telling. Video explanation warrants more interaction. Key, company personnel may display personalities in videos, bridging a gap of awareness between personalities and brands. From there, consumers search for personalities on social media, creating further ties to a brand. Branding encapsulates all a brand does and relays to its public, an important and sometimes ‘unseen’ aspect of marketing and business operation. Video expression did wonders for a number of tech startup brands, including Dropbox. Teachers leverage a number of classroom tools to convey lessons. Providing a mixture of multimedia allows for broader lessons as well as concentrates on individual student preferences. Visual learners prefer seeing information for internalization; therefore, movies, plays, and photos help visual learners solidify conveyed lessons. Alternatively, some are tactile learners, needing to ‘do’ the work to fully understand associated information. Videos offer multi-sensory and visual cues to onlookers, helping others realize the value of provided information and associated products and services. All one needs is a bit of time, interest, a YouTube account and a video device (smart phones work too!). For working offline, some video downloading software like YTD couldn’t hurt either. Search engines like Google index videos and provide them as answers to user queries. Within a body of elicited results, videos stand out above text-based choices, great for attracting traffic and eventual sales. Aside from helpful guidance and opportunity to express brand personality, videos help brands gain traffic, propelling broader online marketing campaigns. More consumers and businesses use the Internet to seek needed goods and services. Fickle behaviors present little cue to ‘cracking the code’ of online marketing; however, video ‘snippets’ help particular brands gain attention in the results. For particular goods and services, videos fulfill an integral chain of the sales cycle, sometimes lost on remote and worldwide vendors. People prefer personalization and great customer service, using the Internet for reduced prices and convenience. Videos help provide better service while remaining a remote sentiment, available for any person any place in the world to view. Consider a clothing vendor. Some seek online vendors, hoping to save money and rid them of the need to leave the house. However, that convenience and price is offset when poor-fitting clothing arrives at the door. Exhibiting clothes, showing how shirts, pants, etc fit, help consumers make better decisions. In such a scenario, a live interaction evades fitting issues, but a video provides equal level of service while the consumer stays at home in pajamas. Remember to respect IP: TeachingCopyright.org. Steven Young has managed his business for many years now. He likes to share what he has learned by posting his informative articles online. Mac users have specific issues in Mac video converter applications and some video file formats are not compatible with Mac applications hence converting to a right video format with right software is vital, here Mac video converter play a key role in assisting you and make your work ease. The Mac video converter software is developed to convert or encode any digital video file format from one to another. It can convert video files to and from most of the file formats like MOV, WMV, and AVI etc. The Mac video converter have many novel editing options from basic to most advanced with latest updates. You can trim or clip a video, you can merge files, can crop or rotate the video image, you can maximize the video quality or you can add your own sound track to the existing video. Simply you can do wonders with this cutting edge technology software. If you are an amateur you can use the optimized preset formats and functions to fit your iPad or iPhone and for a professional you can do anything with this Mac video converter. Simply it is a powerful Mac video converter which makes you free to edit various video formats on your Mac product. 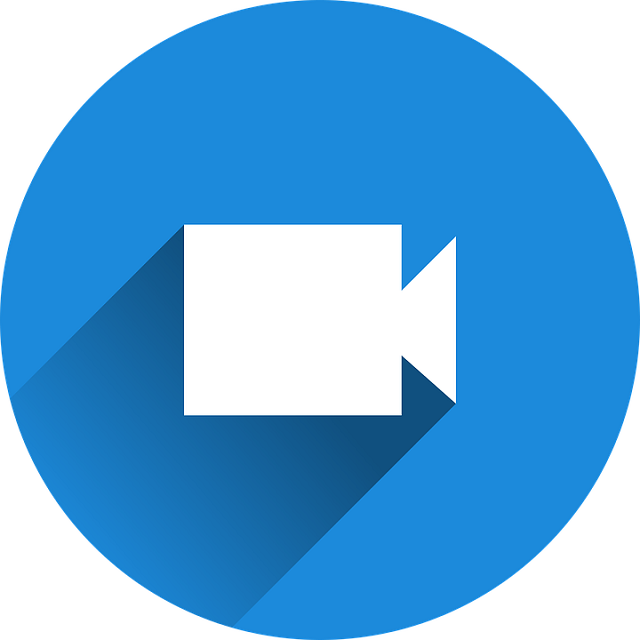 In case if we have any difficulties while using or downloading Mac video converter they are giving you both online and offline support to resolve the issue.